I did a lot of homemade gifts for my parents this year for sentimental purposes. I had gotten sick and one of the things that passed the time and also made me disappear for about 8 hours was painting. Not saying I'm doing grand painting but I combined it with my mothers favorite things "ornaments". So I painted a large bulb with a scene of our small church at night with snow. I painted my father a scene that's only recognizable to us, and same thing for my brother. On shatterproof bulbs I might add. I also bedazzeled (for 3 days) a bulb in peacock toned rhinestones for my best friend and added a feather and other ribbons and charms to dangle off of it. It was a lot of fun and I really enjoyed it very much. I like to do those gifts as an aside, like "here's some sentimental stuff that I hope you enjoy but also here's a nice pair of headphones, Dad!" Ok, what I'm going to do is give you a top 10 of gift ideas to kick this off. I will also give you ideas that can make a Christmas stocking so wonderful, cause they're my fave. I will also be breaking down categories up until the week of Christmas so that I can offer you a great multitude of options and price points and hopefully this will be the most informative and helpful place to be for your gifting questions. Also if you do have questions, hit me up on twitter or Instagram or even facebook. I'll leave the links below. Skincare: I say this because it is the most important thing in my eyes but maybe not everyone elses. Although, it should be. Taking care of our skin is so important not just for our appearance, or how makeup will sit on top of it, but for out health as well. Taking care of our skin both internally and on the surface. There's a lot of talk about pro and prebiotics to help with the skin complexion. Also, sunscreen......you knew I was going there. Sunscreen vital. Vitamin C, vital to the skins health. So on and so forth. 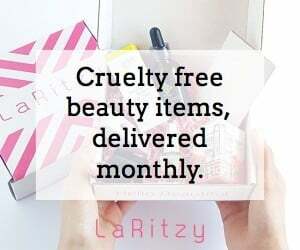 It's a great way to get people interested in it and now there are so many avenues from vegan, cruelty free, green beauty to clinical level of treatments (nothing too intense). There's also really interesting and added bit of luxury sets out with quarts/agate/onyx rollers and stuff. Zaman is one I've been using lately and I must say I enjoy it so much it has a brilliant white onyx roller that is so nice and well made and it comes with their All in One Moisturizing serum. It's Rise and Shine set, they also have one for night time as well. With a black Obsedian roller and a different serum. I'll go more into depth in this in the skincare guide. Some other sets are Drunk Elephants sets as always, Sunday Riley is hitting hard with sets this year, for some smaller businesses and also "clean beauty" OSEA as you know is my go to (yes I'm an affiliate and that's an affiliate link but it's not sponsored), Granola Goat and Alluring Alchemist have some of my favorites oils and balms. For more luxury I think of Elemis a lot. Like I said I will go more in depth in the guide dedicated to skincare. ​Makeup: My 10 year old niece actually asked me very quietly for some makeup and not nail polish this year. So after discussing it with her mom I'm going to find her some cute but nice glosses and probably a good starter set of brush. Probably some ColourPop because they're aesthetic is so bright and fun. C'est Moi has some really cute gloss trios and cream paint crayons. For a die hard makeup fans that love to try any and everything, I recommend the Sephora favorite sets. There's usually different brands scattered all through it. If they really love lipsticks there's a ton of options. If you want something from every category of makeup they have that, if you want all the best sellers, you got it. If you have someone who is not a makeup hoarder, like myself, they're perfectly content with just one good palette and so on I'd point you toward something you know they'd use. Like a really nice palette. It doesn't have to be a certain brand just as long as you know it's good and something they'd like. I'll get into this farther on the makeup guide. Also makeup brushes and brush cleanser or a beauty sponge and sponge cleanser, I do insist on a cleanser as well so that they'll at least have access to cleanser and should be reminded to cleanse the brushes/sponge. A good makeup mirror: I use Fancii Co mirrors. They have a lot of different options, they're lighted and super bright. Mine have been great, they even have a nice big lighted compact mirror. It really has made a difference in my makeup application. I didn't think it would that much because I do my makeup right beside of a window with really great natural light. The Vanity mirror I have from Fancii has, I think, a 1x magnification, it's not noticeable to me but it definitely shows you what you've not blended properly, or you missed a spot with your foundation. It also has three different light settings, a warm light, a natural light, and a cool toned light I think? I used to have a coupon code for them which I will leave here if I do "LOVEMASCARA20". It's not a commission code. It's just for you. Hair Tools or sets. I prefer tools as opposed to hair products because I don't use hair products all that much and I don't usually try different products except for Shampoo and conditioner. Those are what I love to try different ones of. You can actually customize your own shampoo and conditioner through Function of Beauty. You get to select what you're concern is, what you'd like your result to be, and even put your name on it which is really neat. I'll go more in depth at a later date of course. Hair tools in my head are easy to figure out. For instance mine would be a curling iron or a way to curl your hair because that's how I prefer to style my hair. Honestly I won't lie, Conair has stepped it up. I hear that the Conair Jilbere matte gold curling iron is the absolute best but I'm using a silver one that was super inexpensive. I love it. It does better than most curling irons. Not sponsored, nor have they sent me one, I just really like them and it's what my hair guru uses. I like a clamp on mine. Other's, like my friend J, love wands. I'm a huge fan of planners. I think I talked about this last year too. I love following people who post their decorated planners and layouts. I like the ones that are far more in depth and have extra sections like notes, weekly sections and so on. I'm really into the Bloom 6 in 1 Ultimate Planner, Calendar and Notebook. It's a little bigger than my Happy Planner. (Both of them are more affordable than Erin Condren planners.) I love how much this one has in it including a sketch pad and a coloring sections. I love to decorate with stickers, book marks, etc. There is a planner for every category from daily to wedding, student, pregnancy etc. I love notebooks and good pencils as well. I'm a stationary freak. You all know how much I love my Fringe Studio notebooks. ​Jewelry: I love watches but I also love delicate pieces. I like sentimental pieces especially. I find most of that on Etsy. I have a delicate thin ring (above) with my husbands name engraved on it from Caitlin Minimalist on Etsy. My best friend, J, asked for one with her husbands name on it as well for Christmas. I love when they have personal touches. I also love layering delicate necklaces or pendants on delicate chains. I actually found one of my Grandmother's lockets which is a golden oval with a pearl on it and I put it on a very delicate chain that I'd gotten from my friend. I love all jewelry though. Flowers: This won't be for everyone but it's definitely something that I'd be so insanely in love with. I love the year long lasting roses that come in either acrylic boxes or hat boxes. They have every size in every color, and they have cool shapes. There are quite a few sites doing this now. I will go into all those later. I got some from Le Bon Bouquet and they're going good for about 6 months now? They're a lovely periwinkle color. Something comfy: ok, take my word for it that sometimes it's not best to get someone clothes. I am one of those people who never wants you to get me clothes, it just stresses me out. However, I hold that rule for over sized sweatshirts. American Eagle has released a lot of long sleeve sweatshirts, sweaters, etc etc that literally have "super soft" is the name of the product and they are not wrong. They're the best lounging around and warm sweatshirts. If you don't want to try and figure out a person's size though, some other great comfy stuff is heated blankets or just super soft blankets. Socks and scarves that are super soft or warm are great gifts as well. I gifted two heated blankets last year to my mom and my friend and both of them loved them. Something fun: I have the most fun at Christmas when we do something fun. My brother and I do prank gifts. Last year I got him toilet paper but I've also gotten him nerf guns in the past and a remote controlled car. He's eight years older than me, still just as much fun goofing off and playing. He got me a Simon says game and the whole family joined in. J and I always buy each other a gift from our childhood, so Polly Pockets, Super Nintendo games, board games like Operation that we immediately play. We have so much fun and it's one of my favorite parts of Christmas. Lastly, gift cards: I know, I know, some of you are thinking about how they're not personal enough. Listen if you have a makeup lover like me there's nothing I appreciate more than a gift card to Sephora or Ulta. Especially if you were gonna go down the road of perfume. Trust me it's best to leave that to a stocking or let them pick out their own. Also think Starbucks, Nordstrom, brands you know that they like, etc. Or one that can be used anywhere. Gift cards are easier but they're also fail safe. I've not ran into anyone that doesn't use their gift cards they get. I just haven't. As an aside I would also say get something you know they love to collect or are obsessed with. For instance, I love old books. The older the better. I also am a die hard fan of Harry Potter and they have subscription boxes now for Harry Potter lovers. I'm a proud Ravenclaw so anything Ravenclaw tickles me. I'm in love with prop replicas and illustrated versions of the books. I also really appreciate wine too. I like a nice Rose or Pink Moscato. So that's the start of the gift guides. Next is going to be smaller gifts/stocking stuffer ideas where I'm going to talk more about nail stuff and more equally exciting smaller gifts.